Tower Defense Strategy Sci Fi Click to find more games like this. 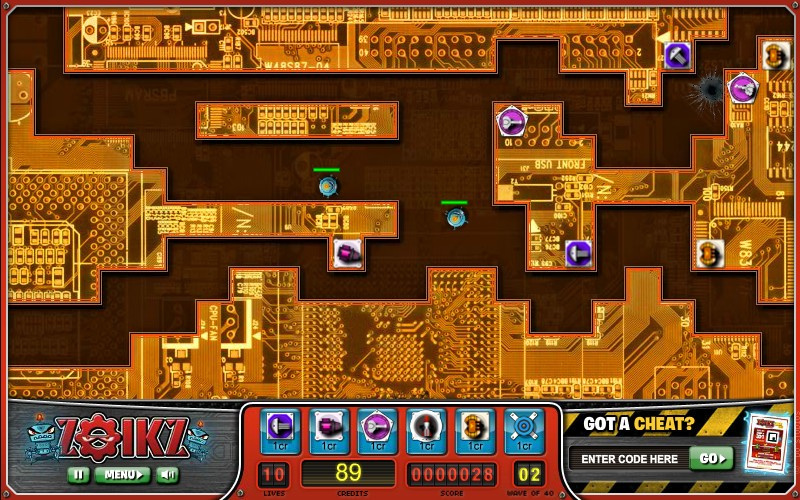 In Zoikz Defender the Zoikz have infected the mainframe. You need to fight the Zoikz as the travel through the many levels. 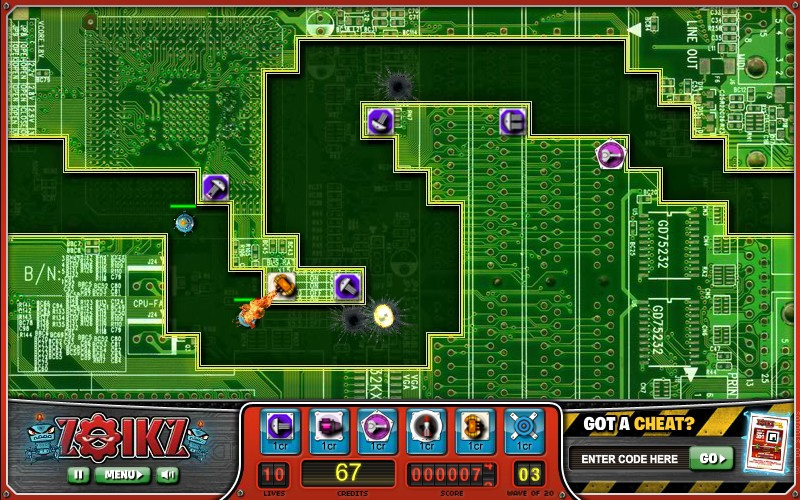 Place your towers, turrets and other automatic weapons along the mainframe and shoot down the Zoikz.